Tienda de Bailarinas tipo merceditas de Lona con velcro y lazo a contraste para niñas. 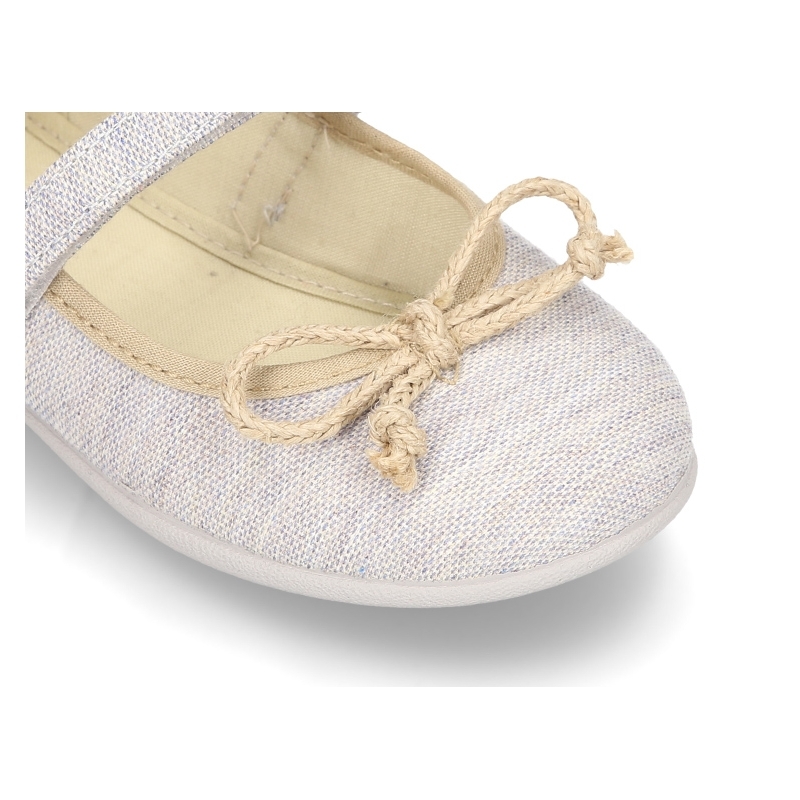 > First Steps>Mary Jane>New Cotton canvas Ballet flat shoes with velcro strap and bow in contrast. 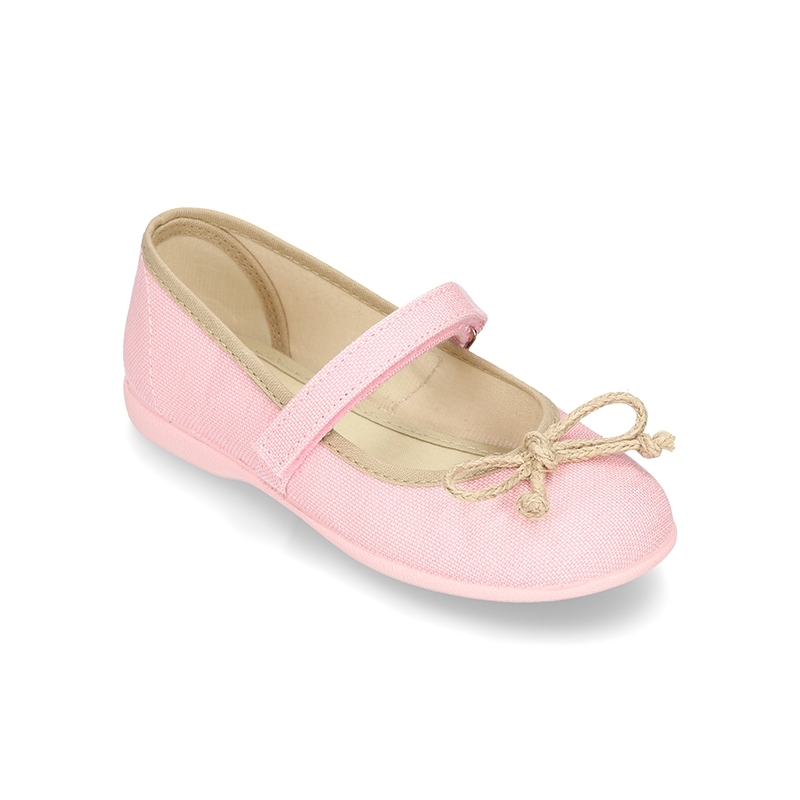 New Cotton canvas Ballet flat shoes with velcro strap and bow in contrast. 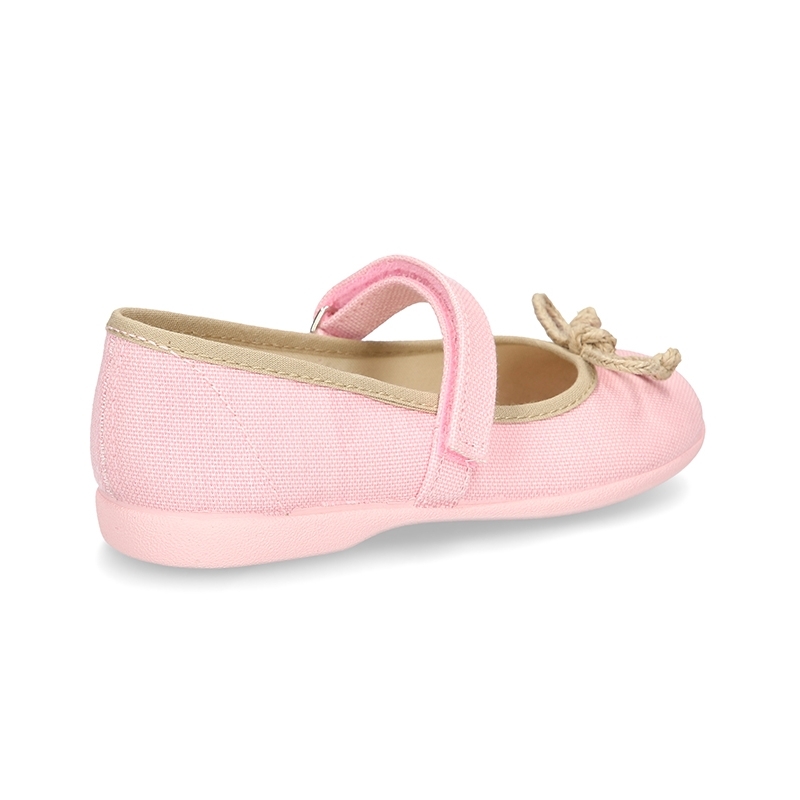 New Cotton canvas Ballet flat shoes Mary Jane style with velcro strap and contrast bow for girls. 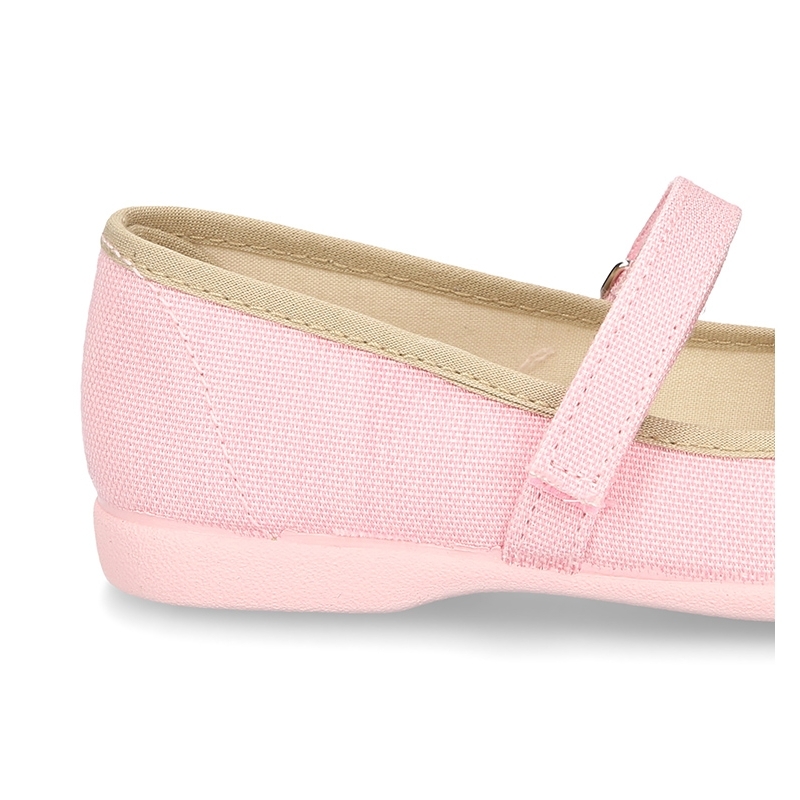 More info about New Cotton canvas Ballet flat shoes with velcro strap and bow in contrast. 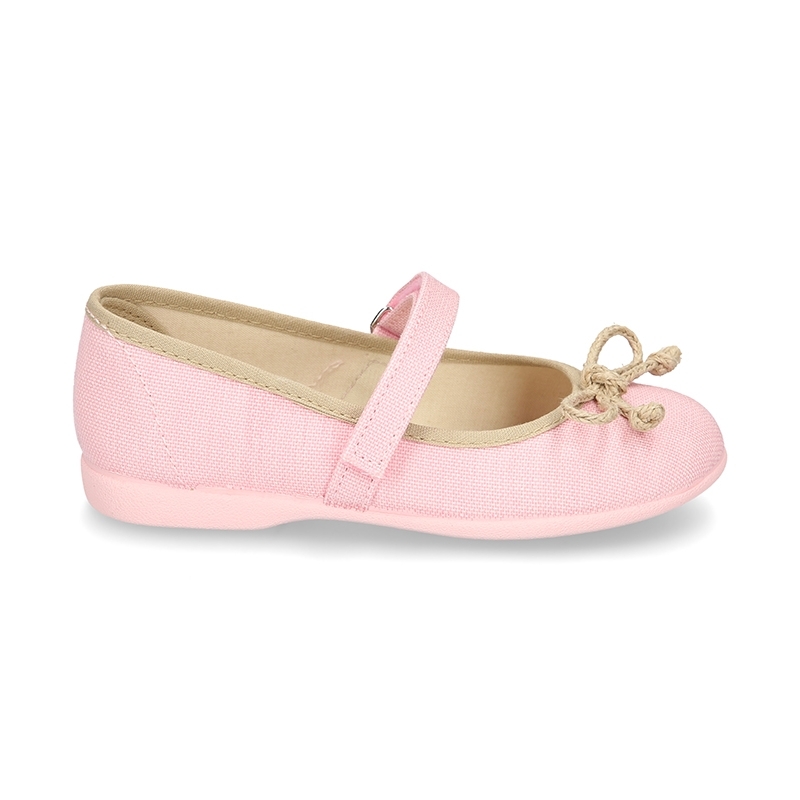 New Canvas ballet flat shoes Mary Jane style in piquÃ© cotton canvas with velcro strap and contrast bow for girls. 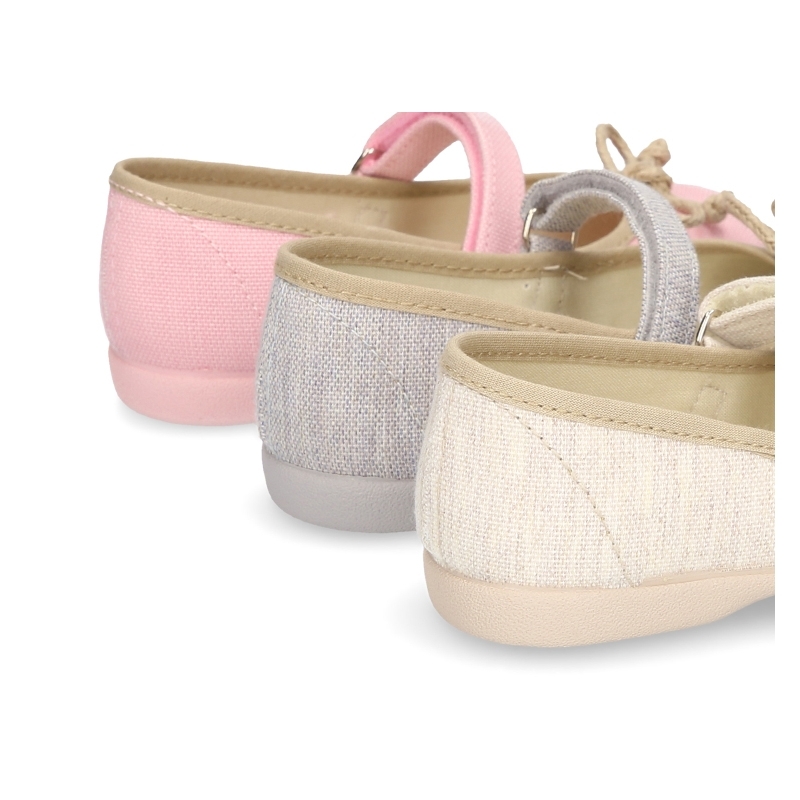 Made up of 100% natural cotton canvas with high quality finishes in pastel colors. Fit with every garment this spring summer. Very practical, comfortable and classy. ItÂ´s a new model very sweet for this spring-summer. Made up of pastel colors very trendy this season. With velcro strap closure for a better grip. Fully lined, edged and cotton canvas padded footbed for a good perspiration of their feet. Outsole made up non-slip of high quality rubber matching color which is totally flexible in order they can learn to walk without problems. Available in 3 colors. Range of Sizes: from 19 Euro size up to 34 Euros size. SIZING REGULAR. 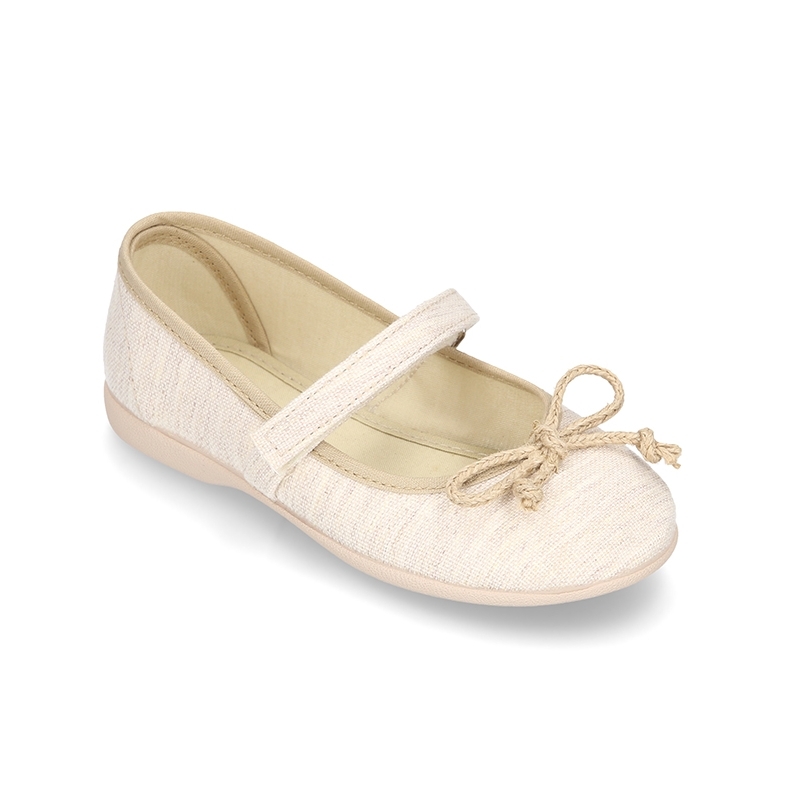 Data sheet about New Cotton canvas Ballet flat shoes with velcro strap and bow in contrast.